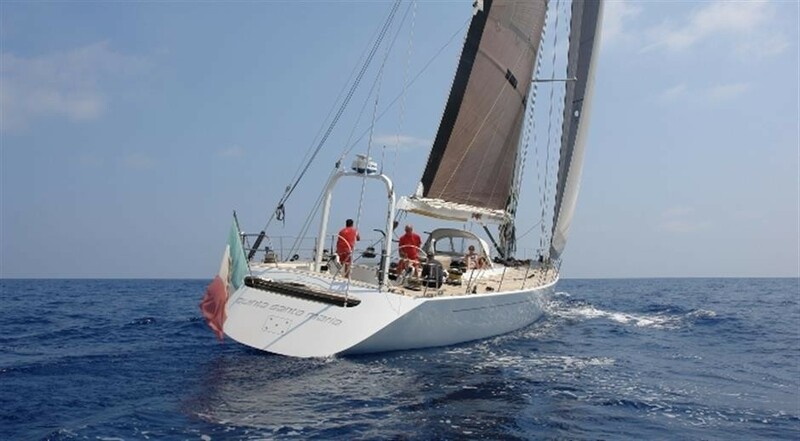 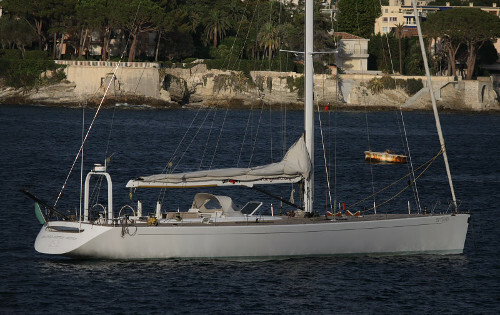 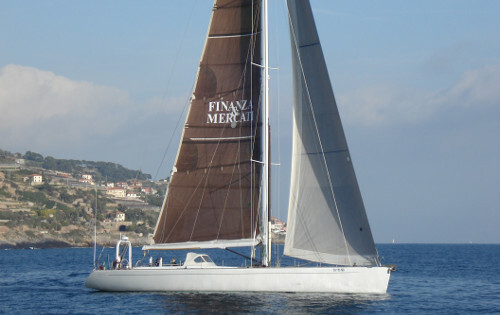 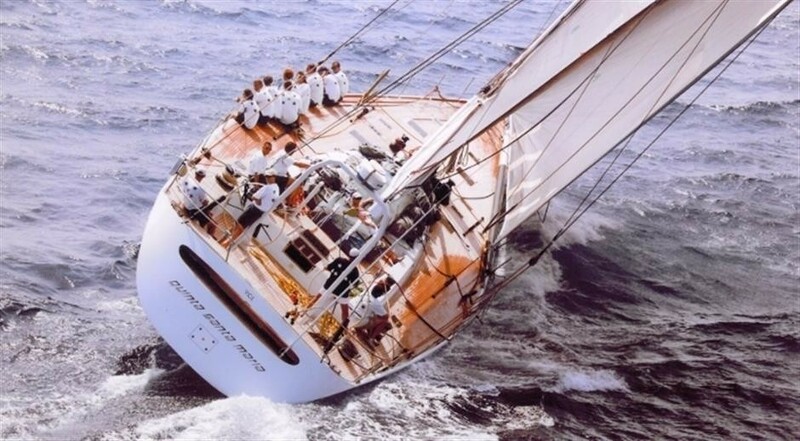 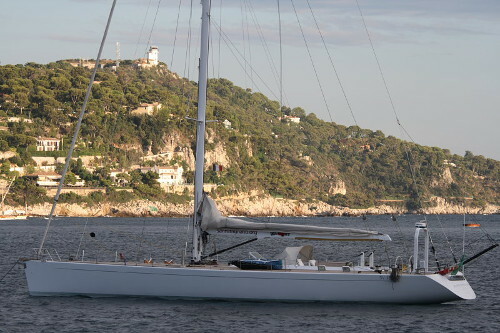 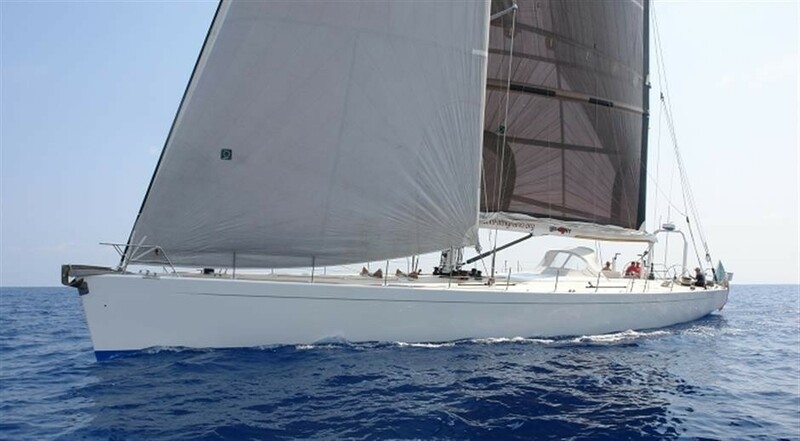 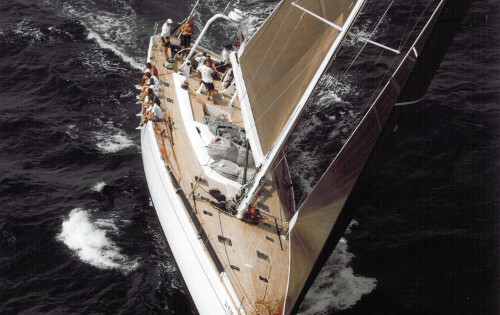 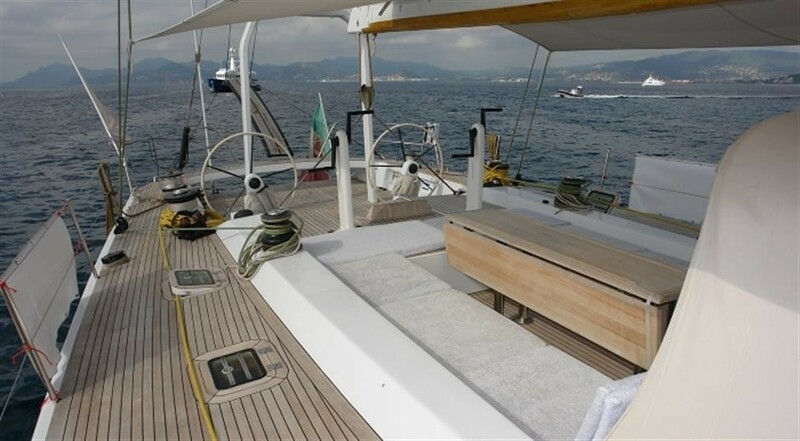 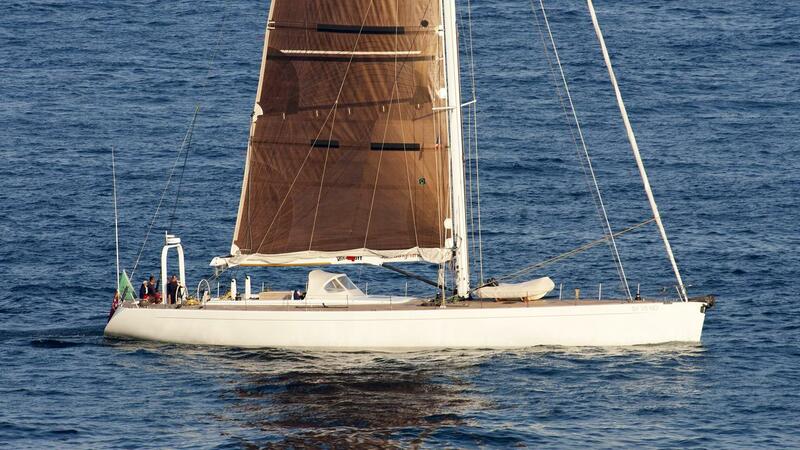 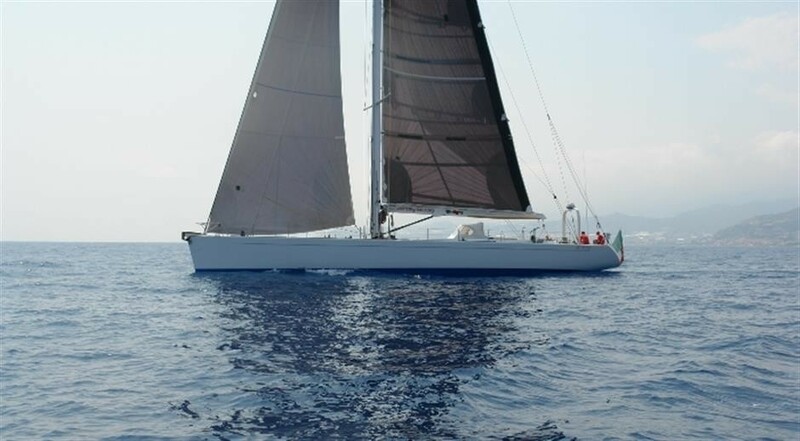 Sailing yacht LOGICA/QUINTA SANTA MARIA (EX QUINTA SANTA MARIA) was launched in 2001 by Mondomarine and is 27,4m (90ft) overall. 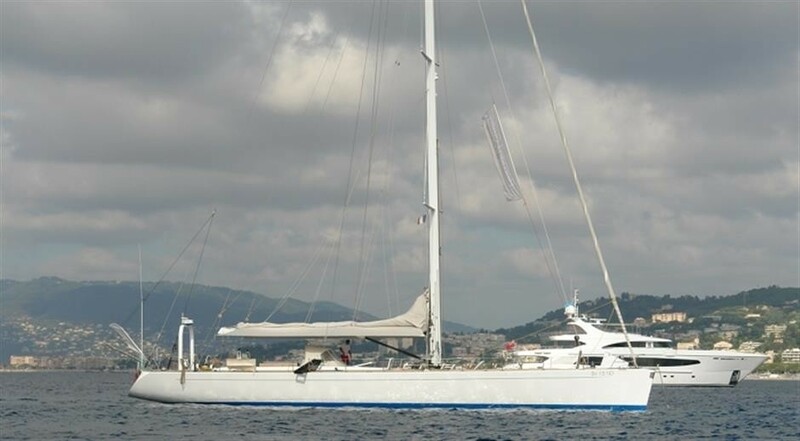 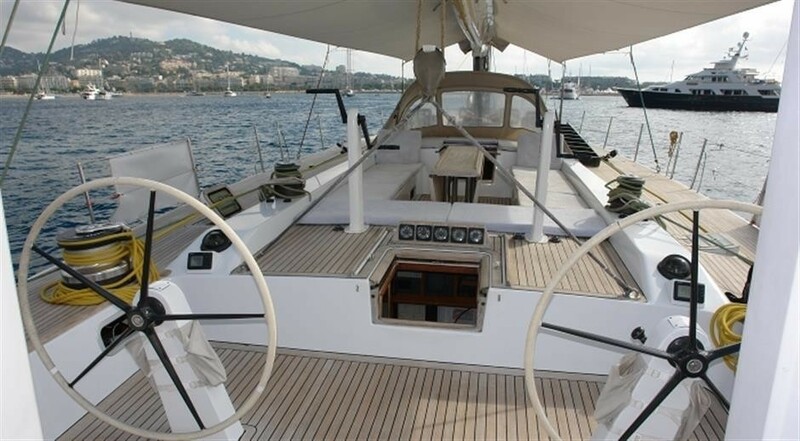 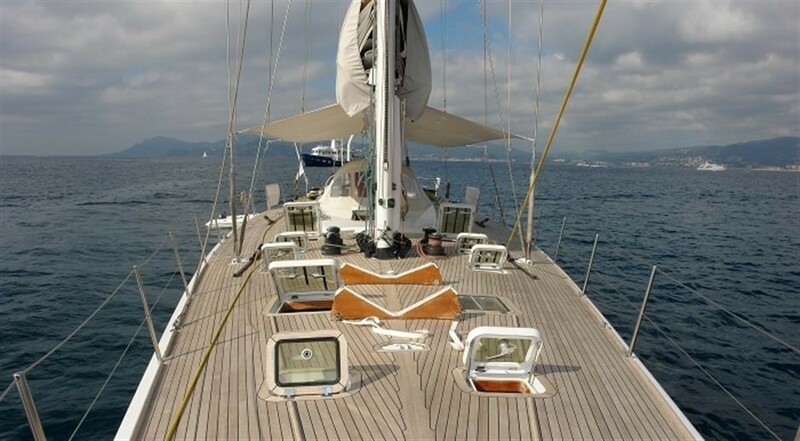 The yacht offers crewed yacht charters for up to 8 guests, sleeping in 4 cabins and was refitted in 2018. 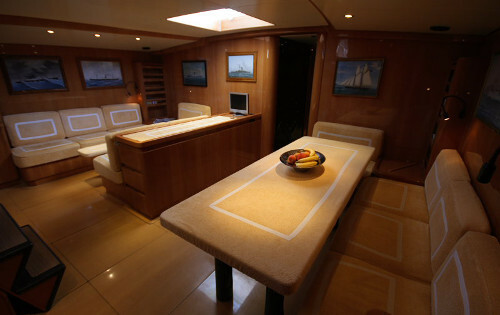 Above deck the cockpit aft of amidships is fitted with padded seating around the exterior and a table for casual alfresco dining and outdoor lounging a cover can be erected to protect from sea spray. 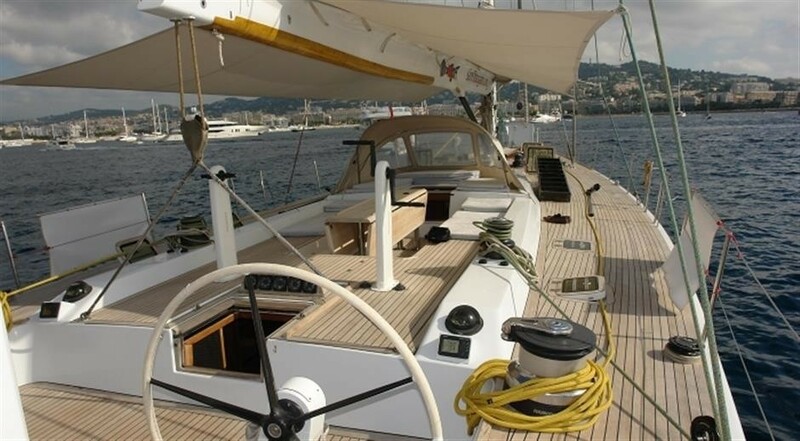 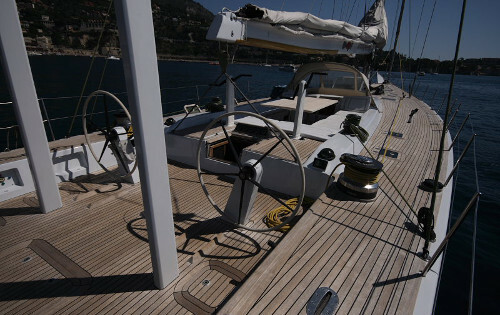 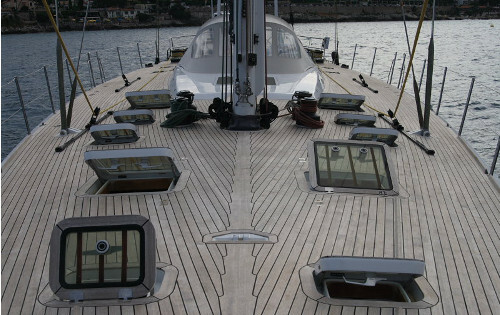 The helm stations are placed farther aft, leaving the foredeck clear for operations and sunbathing, exercise and observation while at anchor. 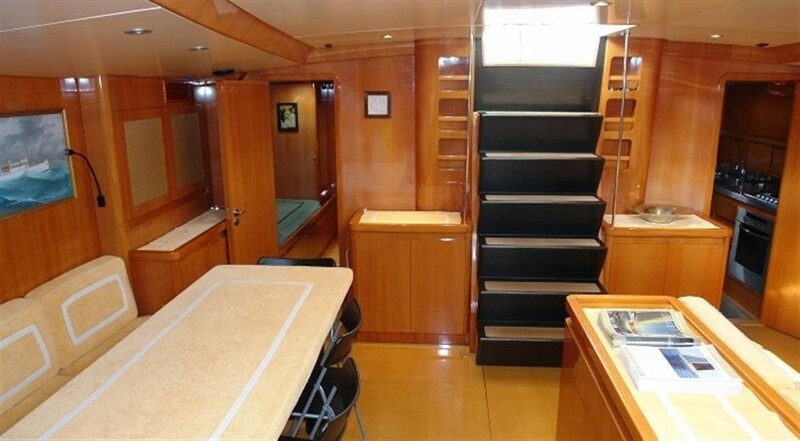 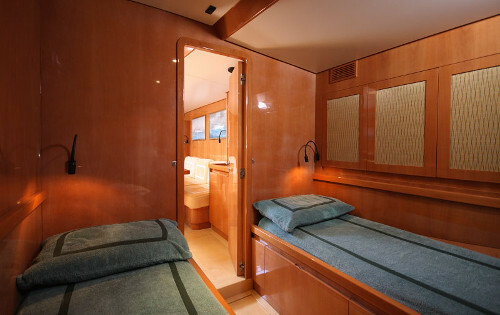 The lower deck layout places the Master suite and twin cabins forward with the salon amidships. 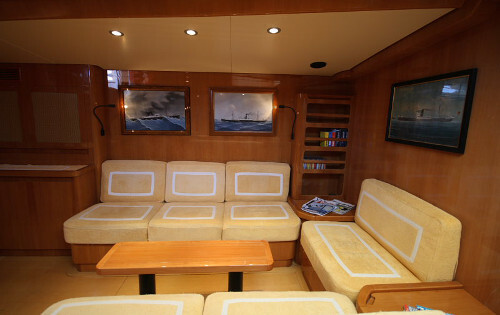 The port lounge provides U-shaped seating around a coffee table, and a widescreen TV is placed on the cabinetry to the aft. 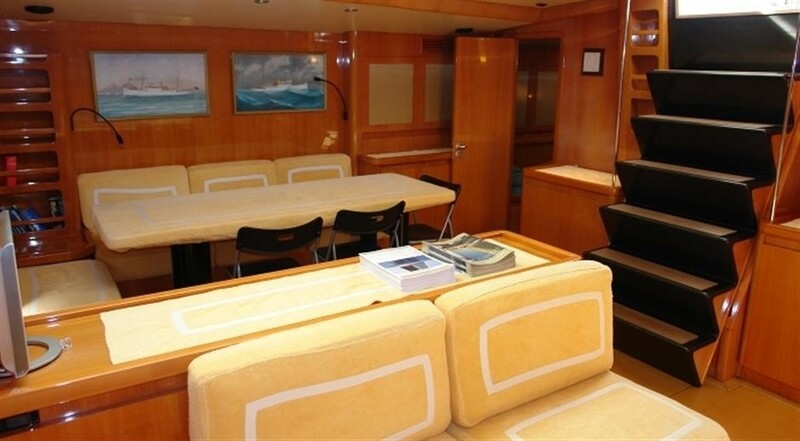 Opposite, a large sofa and raised table create the dining area, and additional chairs are available to seat all eight guests. 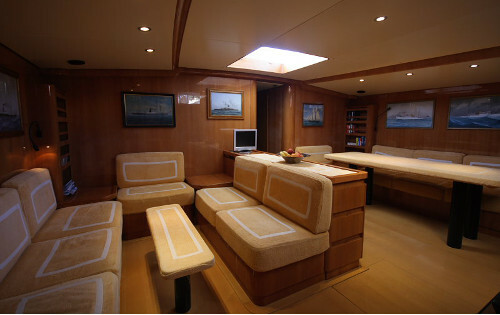 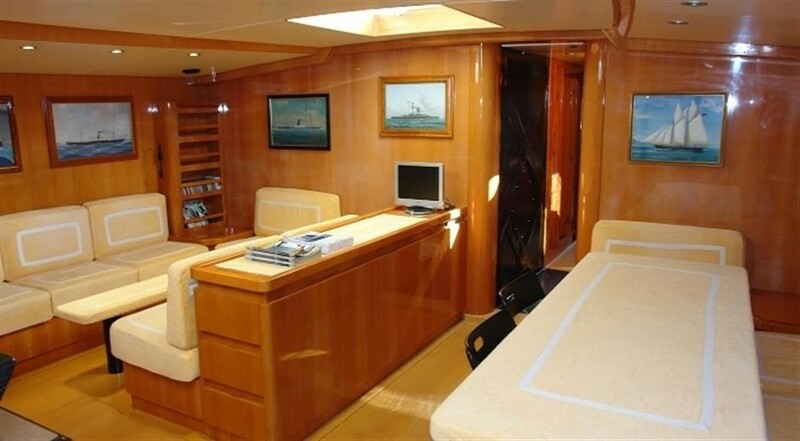 Aft of the lounge is the galley and bunk cabin to starboard, while in the aft contains the crew cabins and tender and water toys storage. 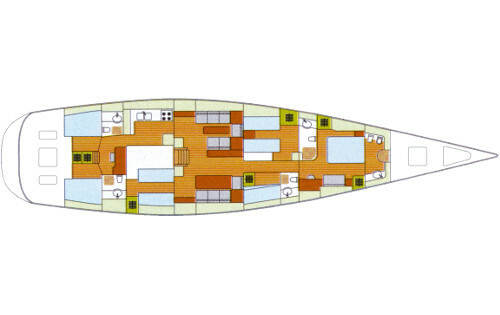 A YANMAR 6LY-UTE engine producing 325 HP will provide power in light wind conditions. 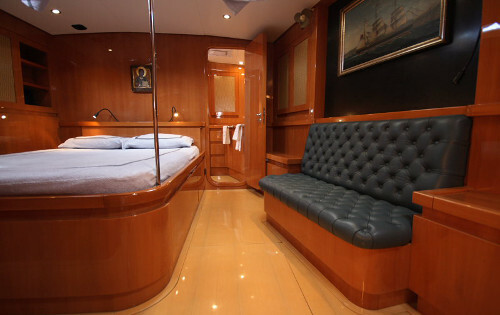 The accommodation sleeps a maximum of 8 guests over 4 en-suite cabins: 1 Master suite, 2 twin cabins and 1 bunk cabin. 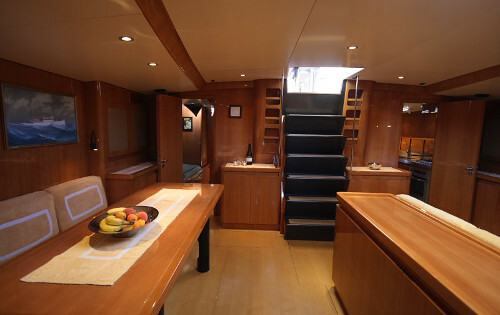 The Master suite is placed forward on the lower deck and contains a sofa and desk as well as a bathroom with a shower, toilet and sink. 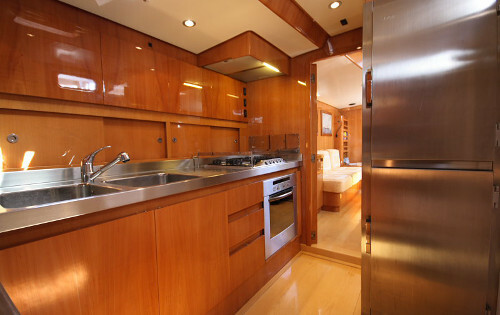 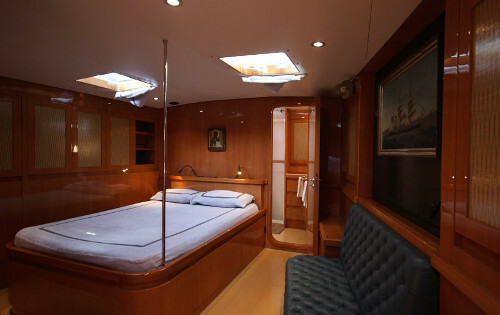 Behind the Master suite are the port and starboard twin cabins which both have a bathroom with shower, toilet and sink. 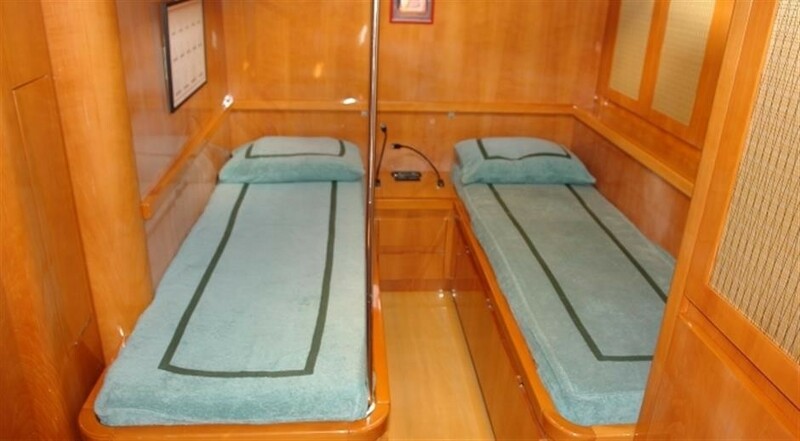 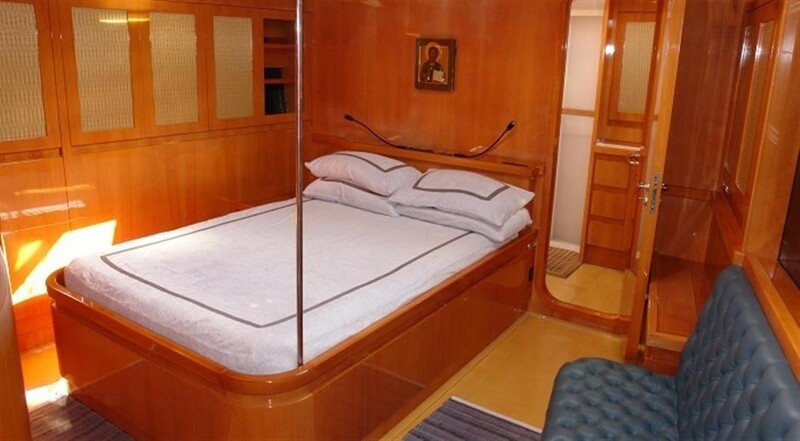 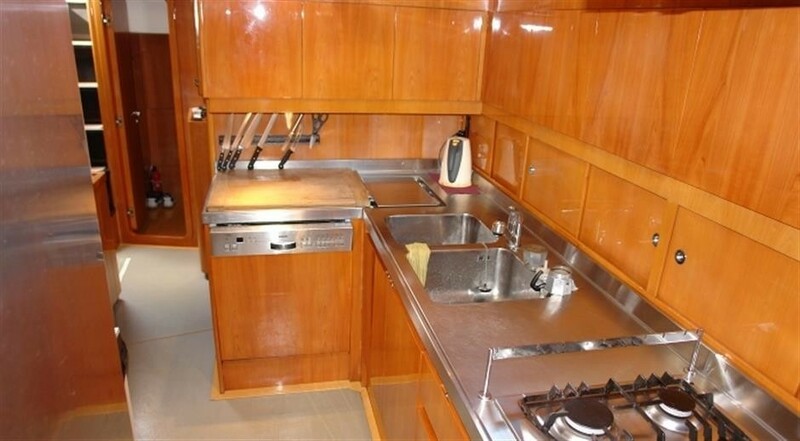 The final guest cabin is a bunk cabin to starboard with the galley opposite. 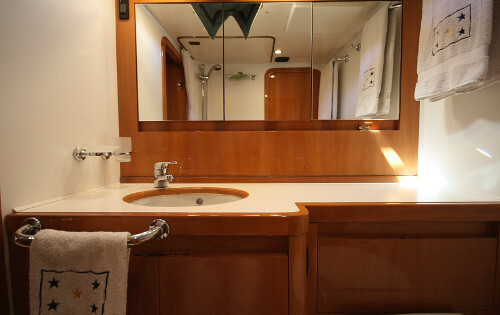 The en-suite bathroom also has a shower, toilet and sink. 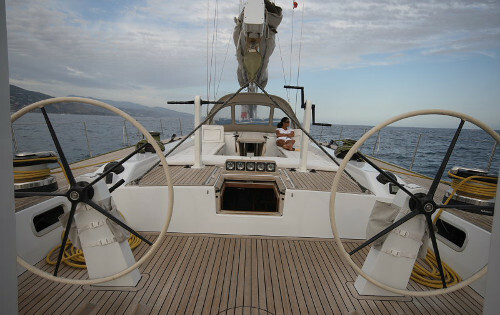 The crew of 3 will ensure that everything runs efficiently throughout every journey.